It is no easy path, to be a poet. The world may view such a writer as a romantic or as someone who simply strings words together because she can. The truth is that the writing and the presentation of poetry is no less than that of the artist who spends countless hours with oil, acrylic, clay or steel creating that soulful piece that exudes—EXPLODES!—from her pores and is set before the reader like a precious, unique child born of talent and imagination and yet always wet, new and taking its first breath. 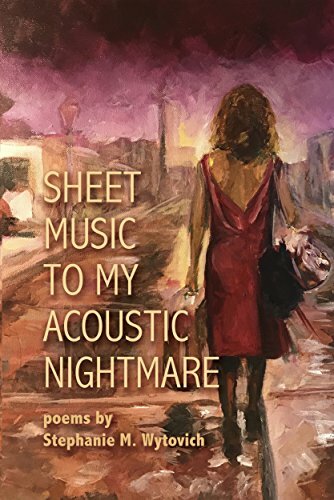 Stephanie Wytovich is such a poet who presents her art of Sheet Music to My Acoustic Nightmare to the reader as if it were a one-time, unique experience meant just for the individual eyes that have met the page—and in that experience she teases the reader’s fingers, coaxing them to turn the pages as she shares her unnerving humanity, a ferocious beautiful reality show that goes beyond mere fascination and tumbles into the dark pulse of shattering life music. And then—well–then, she digs her nails right into the caverns of your central brain and shares the ravenous hunger, spurting blood and need for raw honesty, pain, and release. When you’re done? Encore! You can’t help but pick up the pages and play them again. And again. And again. 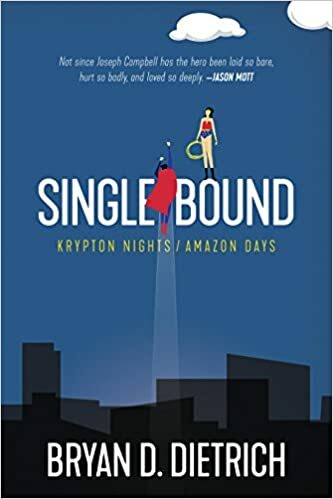 Single Bound is a fantastic compilation of skyrocketing words sure to hit your brain like a speeding bullet and leave your mind fluttering in the wind with a deep sense of curiosity and sublime wonder. Dr. Bryan Dietrich is witty and masterful in his exploration of the internal enigma of Superman, but more than this—he reaches out and dares you, the reader, to answer these questions: “What does it take to be a superhero?” and “What does it take to truly be human?” As Dr. Dietrich guides you on this journey, you may just discover that the answers are one and the same. Or not. This is far from a tame journey by any means, but if you dare to put on the S and become the alien, fall as a slave to your home planet, be raised as a Kansas child and then suddenly harness the sheer power of the stars in your laser eyes– you will not regret it. Not one skyrocketing minute! Enter your email address to follow Querus Abuttu's blog and receive notifications of new posts by email.